SHEBOYGAN, Wis. (AP) — A dog weighing more than 120 pounds survived being frozen to a sidewalk overnight, probably because he was insulated by layers of fat, authorities said. The Sheboygan County Humane Society says the "morbidly obese" dog, an aging border collie mix named Jiffy, froze to the sidewalk when he was left out overnight Wednesday. Shelter manager Carey Payne says few dogs could survive the well-below-zero temperatures, and it was probably the fat that made the difference. Jiffy’s 59-year-old owner was arrested Thursday morning on suspicion of animal neglect, Sheboygan Police Lt. Tim Eirich said. She told police she tried to get the dog inside but couldn’t, and instead checked on him every few hours. The dog is 11 or 12 years old, Eirich said. Shelter workers poured warm water over Jiffy’s back end to unstick him from the sidewalk, Payne said, and it was too soon to say whether he suffered any long-term effects. So first the dog suffers from obesity because his owner never walked him, and now she leaves him outside to freeze!? Her punishment should be that she should suffer a night outside, frozen to the sidewalk herself and see how well she survives! 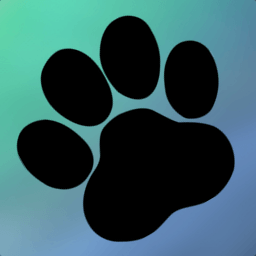 Frozen Doggy was published on Sunday, December 7, 2008 at 3:09pm MST by Daniel Menjívar and last updated on April 11, 2018 at 9:30pm UTC .